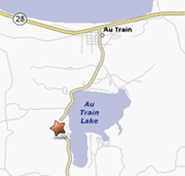 Eight modern cabins right on AuTrain Lake! 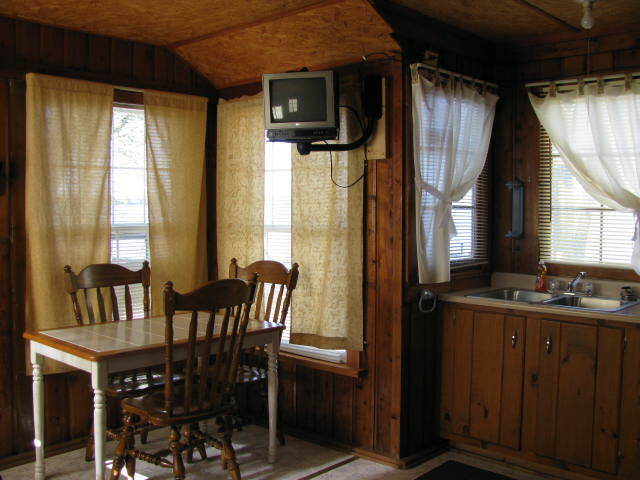 There are 1, 2, 3, and 4 bedroom cabins—each with a view of the lake. 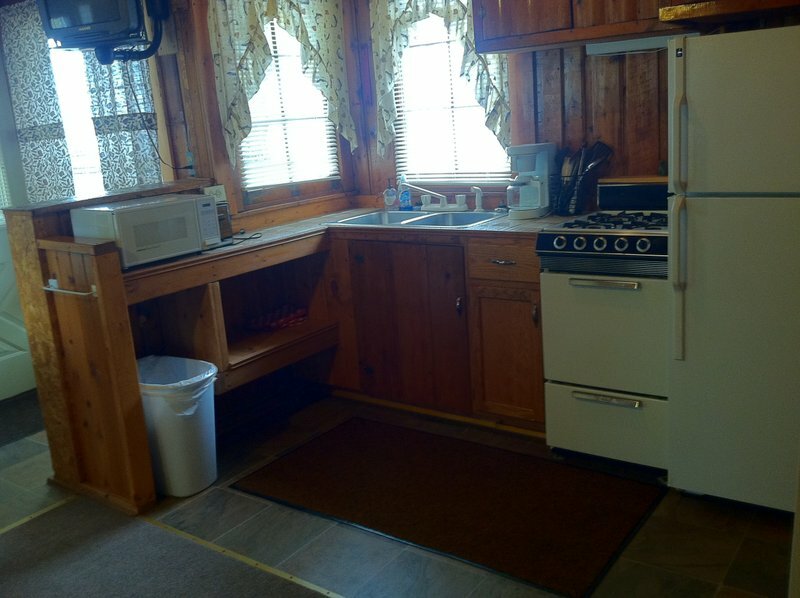 All cabins have fully equipped kitchens with microwave ovens, coffee maker, toaster, full sized stove, and refrigerator. There are picnic tables, yard swings, a swing set, charcoal grills, and plenty of lawn chairs. 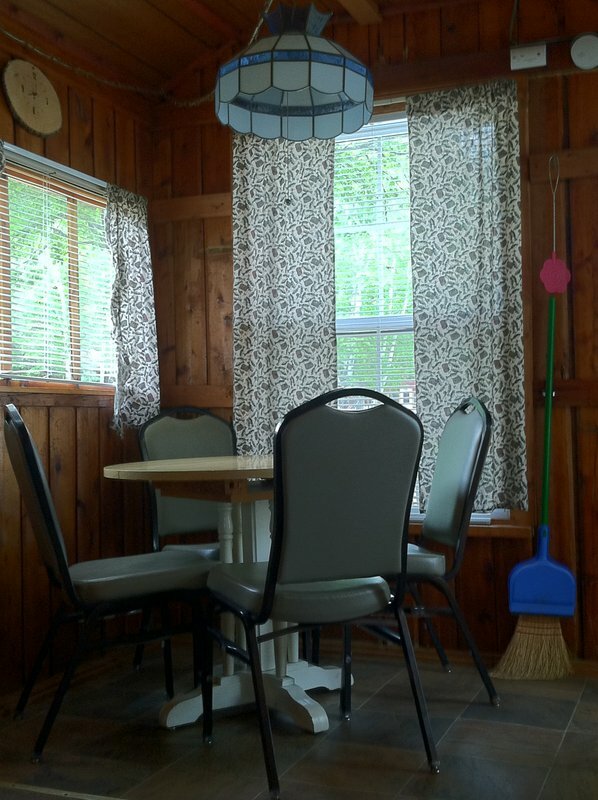 Cabin #1 has three bedrooms with a double bed and a dresser in each bedroom. 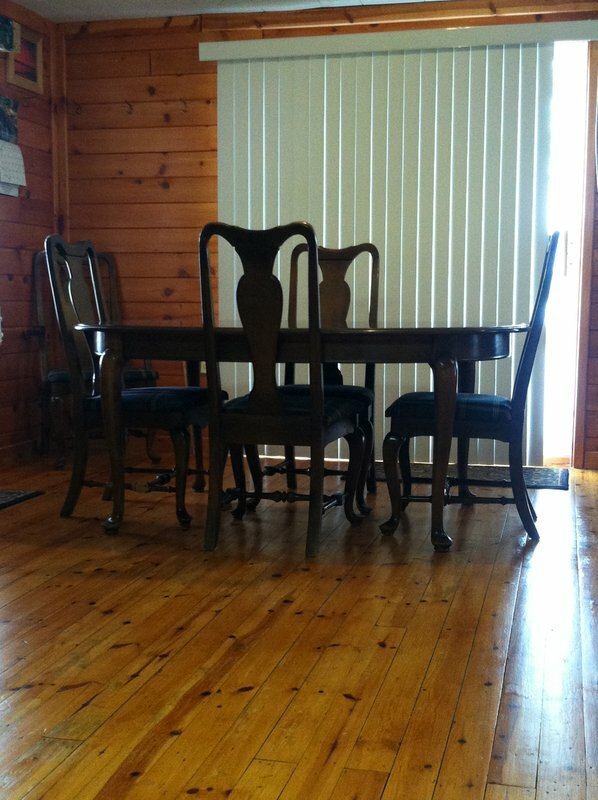 The living room has one couch (pullout) and two chairs. 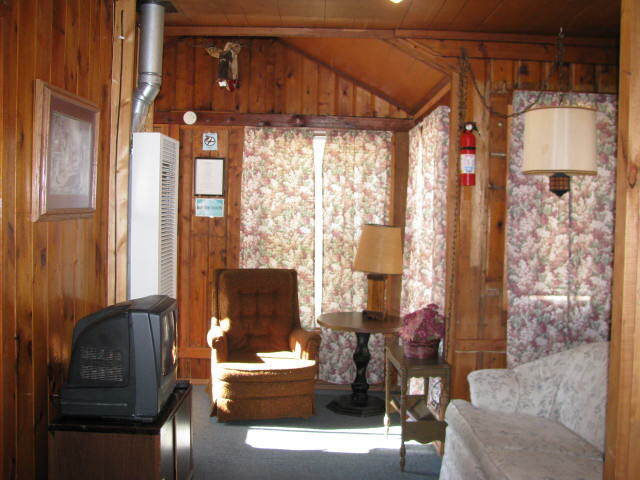 The cabin also has a gas log fireplace. 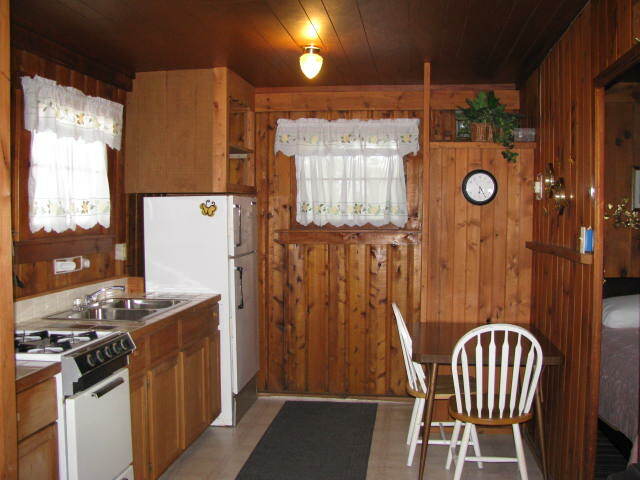 Cabin #2 has two bedrooms with a double bed and a dresser in each bedroom. 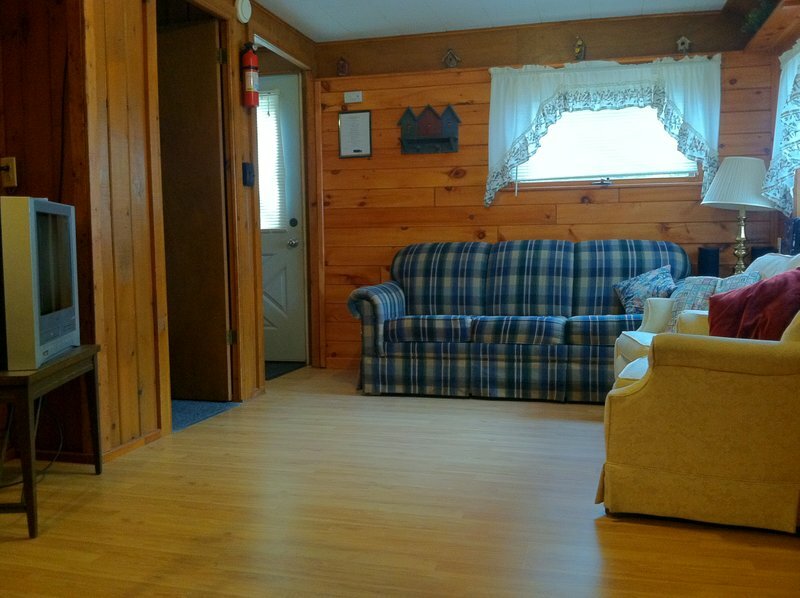 The living room has one couch (pullout), one loveseat and a chair. 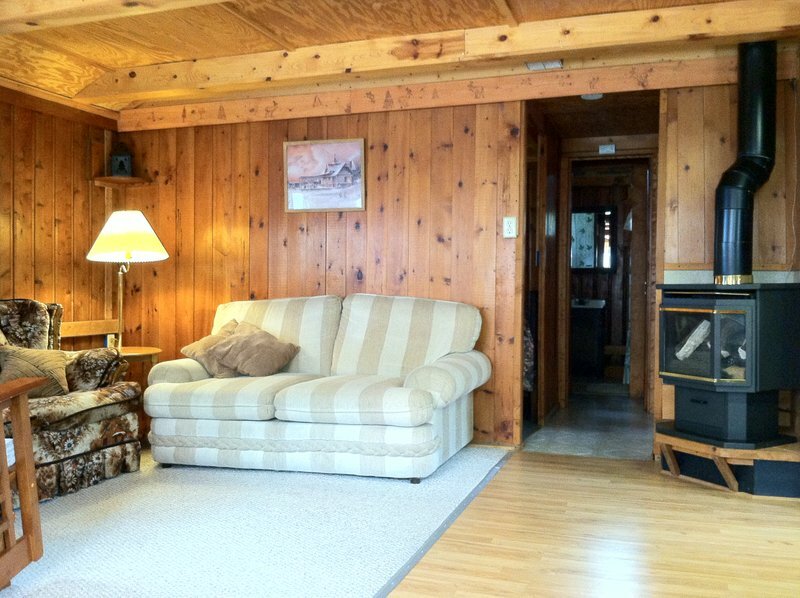 The cabin also has a gas log fireplace. 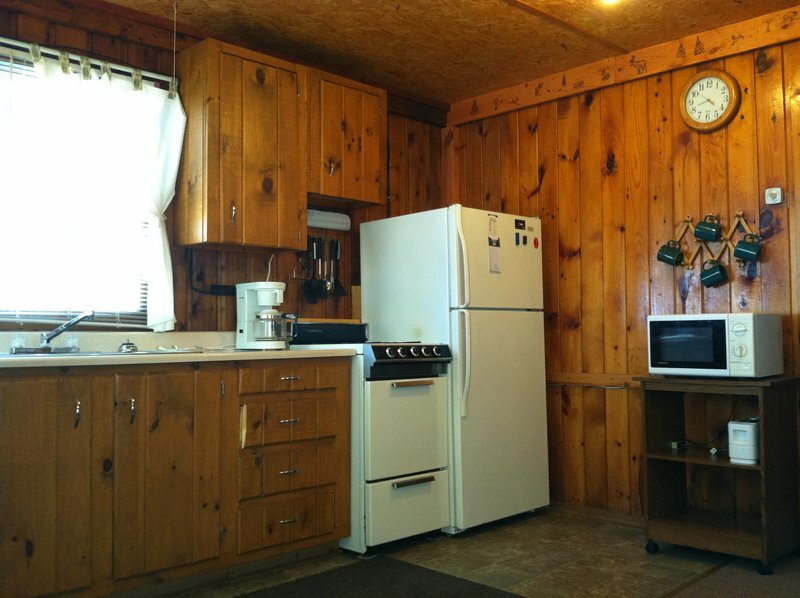 Cabin #3 has two bedrooms with a double bed in one bedroom and a single bed in the other. 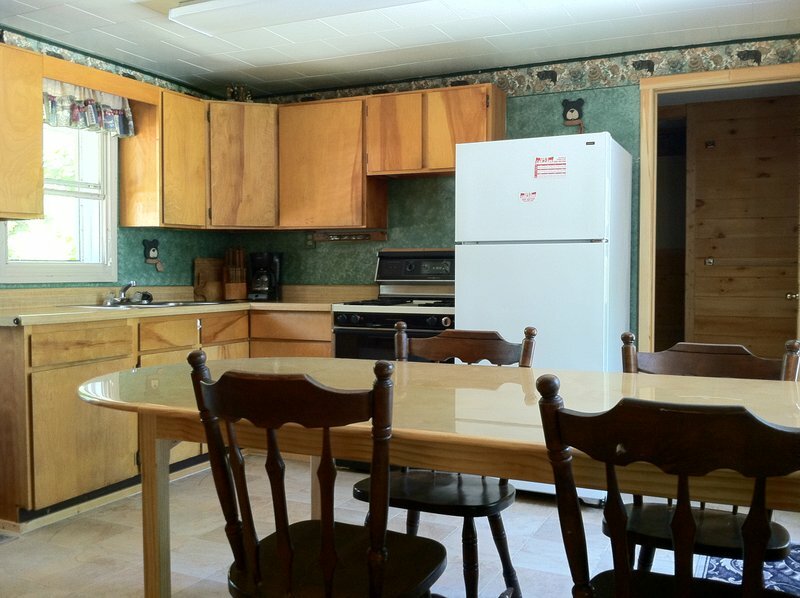 Each bedroom has a dresser. 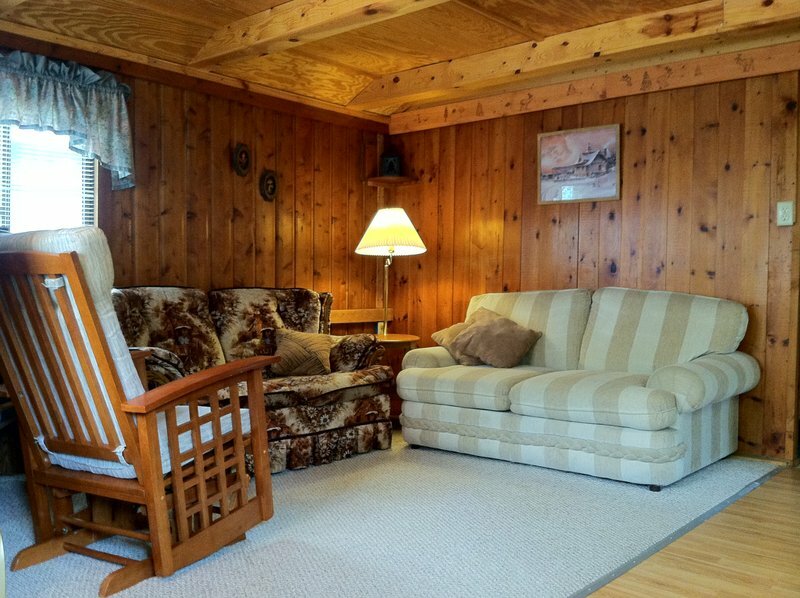 The living room has one loveseat and one chair. 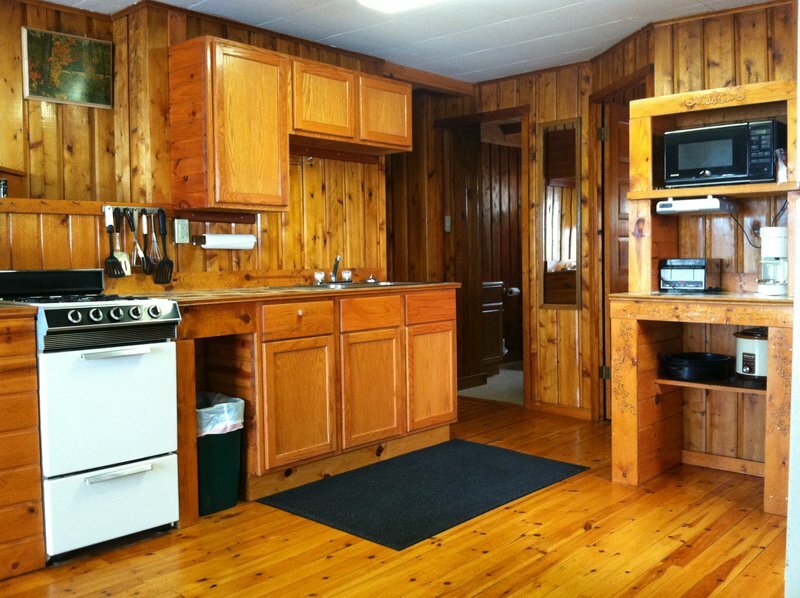 Cabin #4 has one bedroom with one double bed and one dresser. 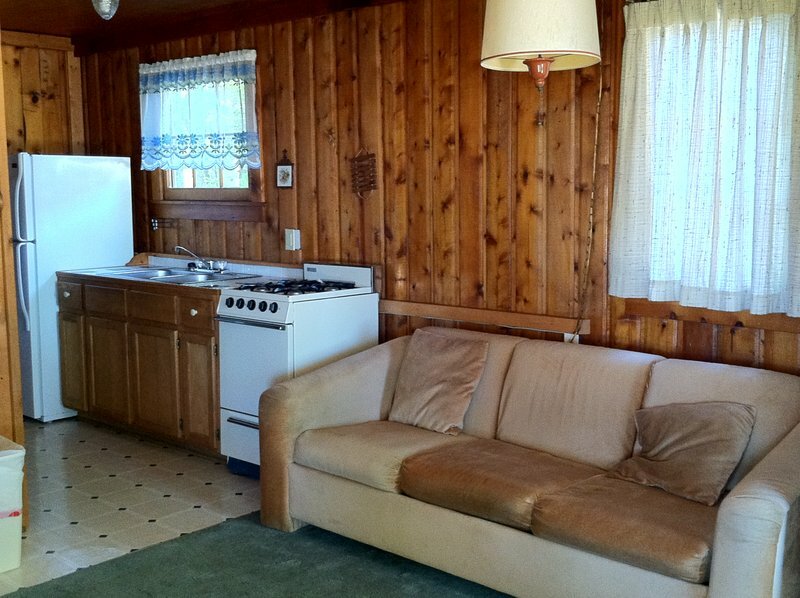 The living room has one couch (pullout) and one chair. 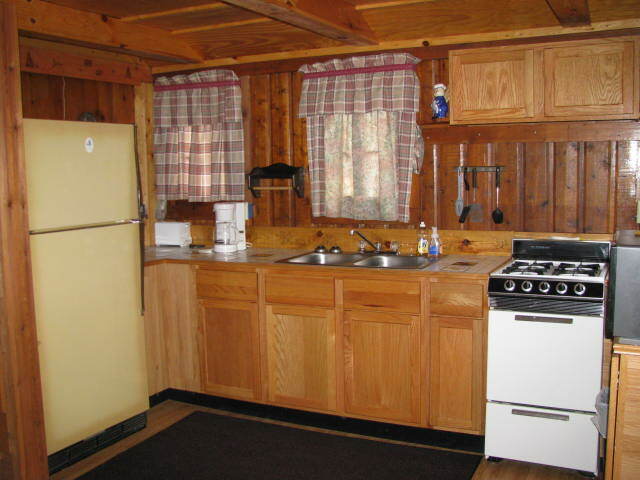 Cabin #5 has two bedrooms with a double bed in one bedroom and a single bed in the other. Each bedroom has a dresser. 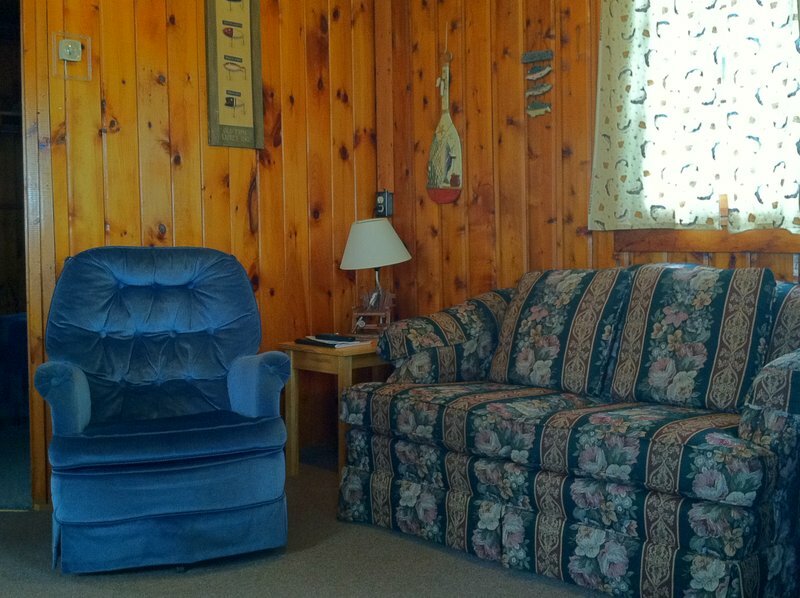 The living room has one couch and one chair. 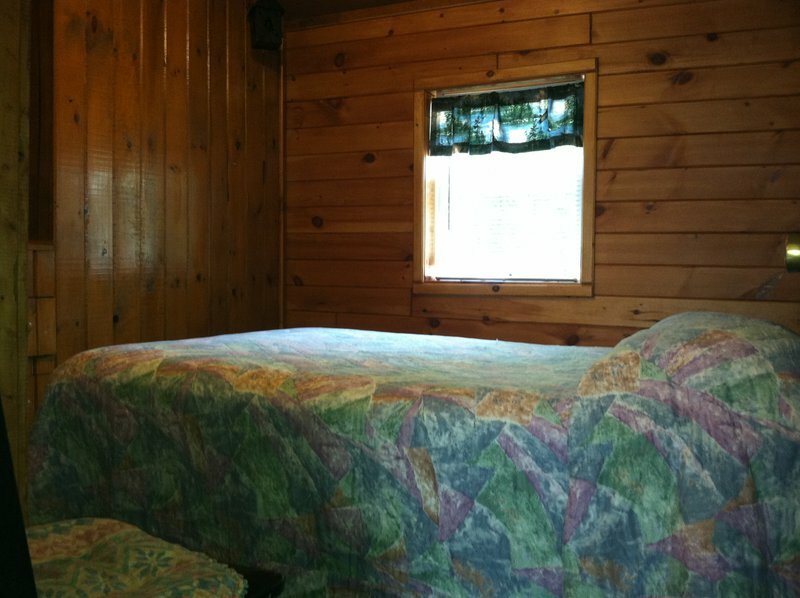 Cabin #6 has two bedrooms with a queen bed in one bedroom and a single bed in the other. Each bedroom has a dresser. 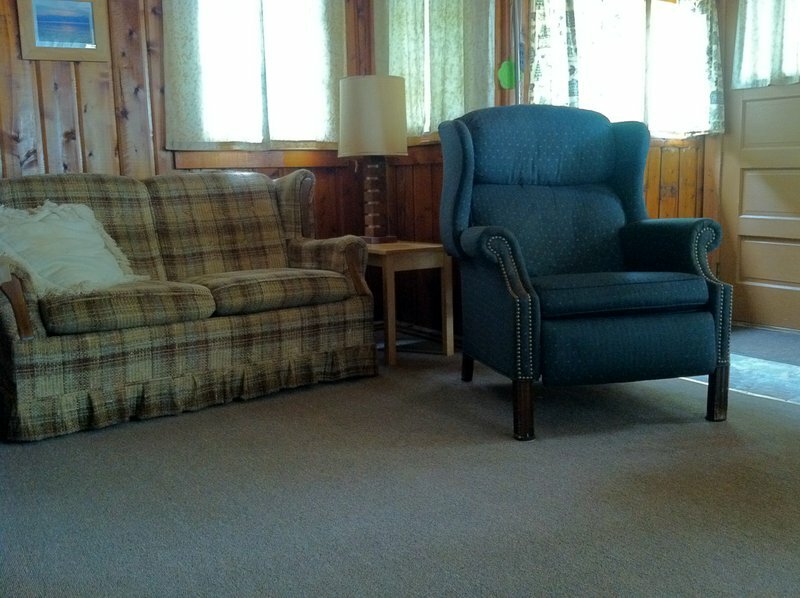 The living room has one loveseat and one chair. 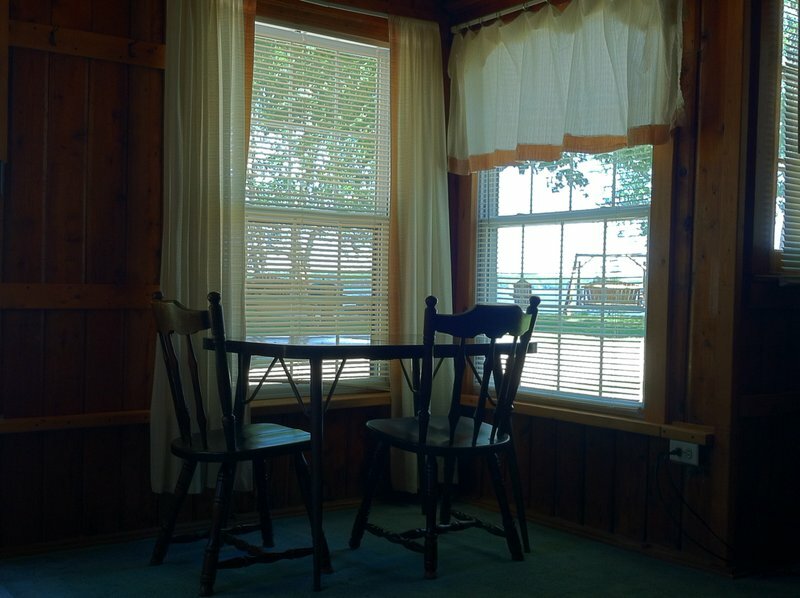 Cabin #7 has three bedrooms with a double bed and a dresser in each bedroom. In the winter we replace one double bed with two twin beds. 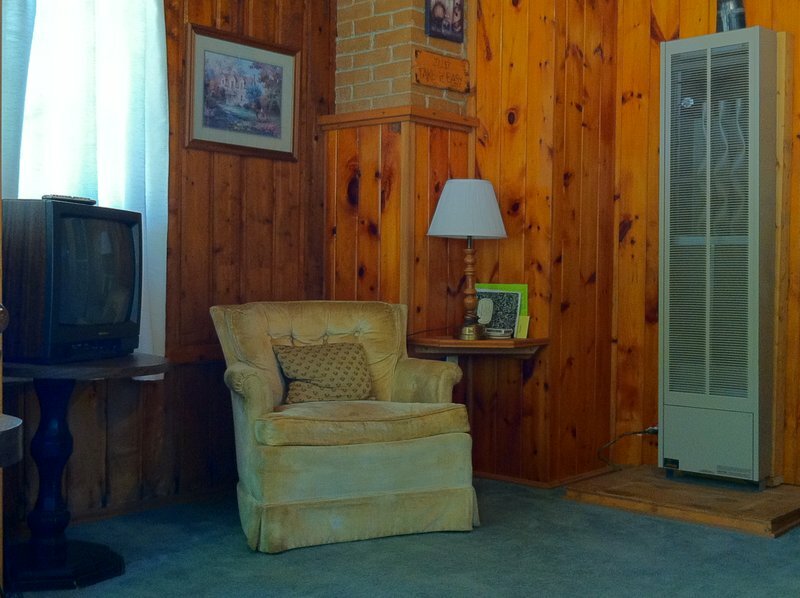 The living room has one couch, one loveseat and a chair. 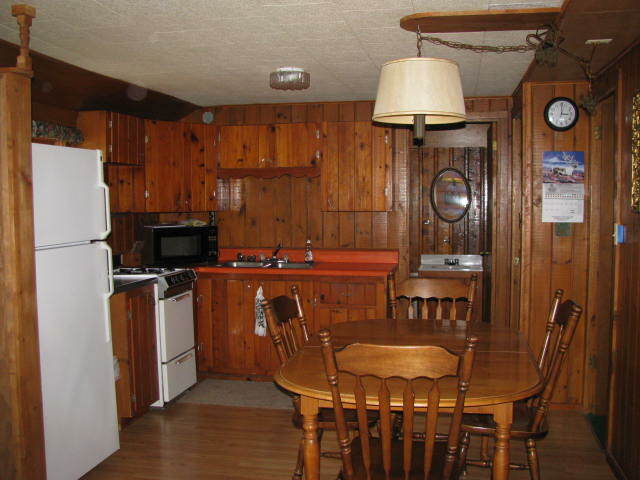 The cabin also has a gas log fireplace and a private deck overlooking the lake. 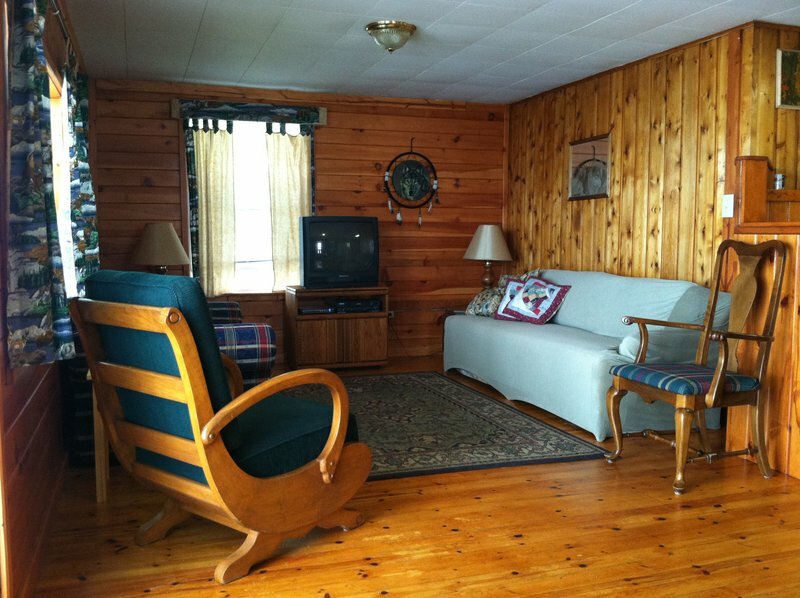 Cabin #8 has four bedrooms with a double bed in three of the bedrooms and a queen bed in the fourth bedroom. 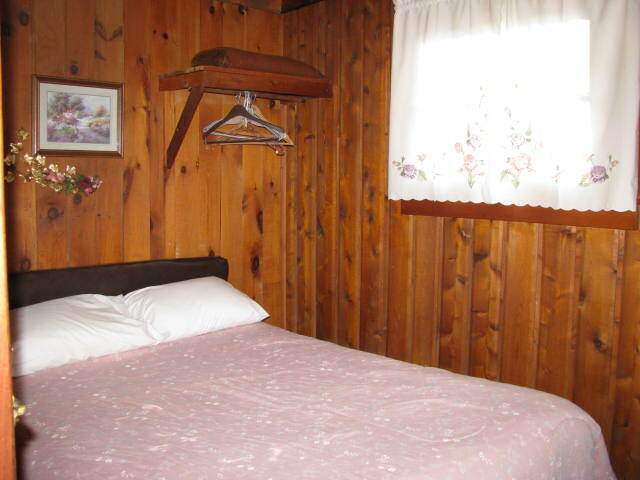 Each bedroom has a dresser. 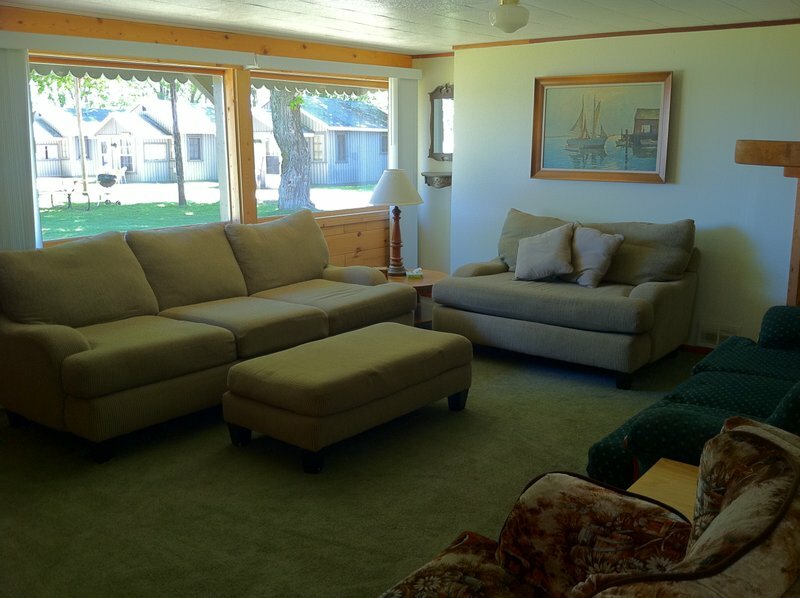 The large living room has two couches, one loveseat and one chair. 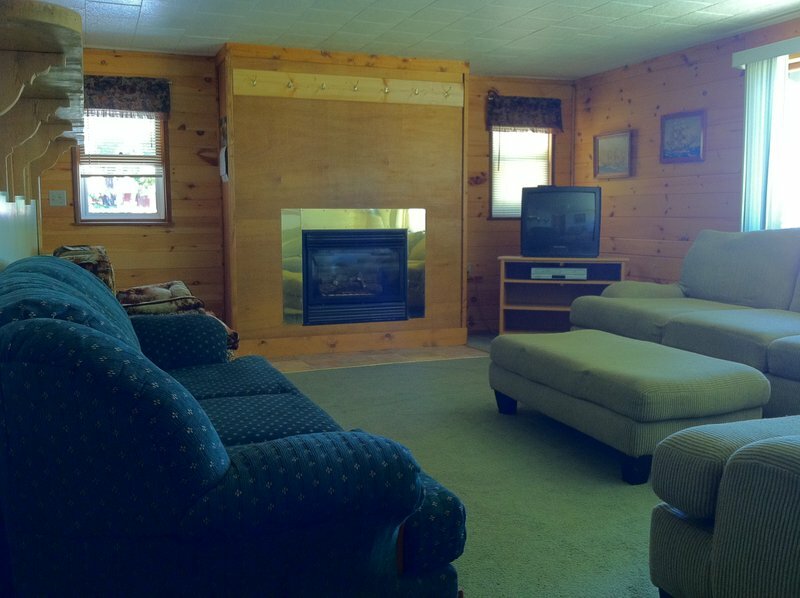 This cabin also has a gas log fireplace and a patio area.